Margaret & I go wayyyy back. About 12 years to be exact. Long ago, we were co-workers and we had a great time cutting up together. Margaret is one of a kind and I wish so much that she didn't always live so far away. It's not THAT far away, but it's far enough away that as we get older and busier, it's harder to get together. Margaret is a special ed teacher. Has been ever since I've known her. She recently started a little hobby on the side and has turned it into a hoppin' little business. This girl is so talented. I wish I could sew even just the tiniest bit as good as she does. Keep reading to learn more about the great MZP. My husband, 2 dogs and I live in Sumter, SC. We’ve just celebrated our 3rd anniversary. Rick is military and I am a Special Education teacher, which is how my business got it's name. I'm a Special Ed teacher and A Special Thread maker. So much of my heart and pride goes into both. What are five things that bring you JOY? 1. Teaching Special Education and seeing that light of understanding turn on in a child. 2. Sewing - My grandmother was a seamstress and I wish I had taken an interest earlier and learned more from her. She had a closet full of fabric that I didn’t understand when I was a kid...Now I wish I had a closet for my fabric. 3. Swimming - There are days when I think nothing feels better than floating and swimming in a pool. 4. Spending time with my best friend, my mom. I love showing off my sewing to her and making her proud. 5. Clemson Football - Going to games and watching football with my dad was my favorite way of bonding with him. As a child, all I ever remember wanting to do is become a special education teacher. I just finished my 13th year of doing just, and am looking forward to year 14. If money weren’t a problem, what you spend your days doing? I would spend all of my time buying fabric, sewing, and swimming. Tell us about your business and how you became an entrepreneur. I began sewing as a hobby after having surgery and being out of work for 3 months. I enjoyed it so much, and was so proud that I was making things from scratch. I decided I wanted to share my talent, and began embroidering for friends at school and physical therapy. My wonderful husband encouraged me to start a Facebook page, and I am planning to open an Etsy shop this summer. What is your biggest struggle as a business owner? I have to reorganize my fabric and craft room on a daily basis. Although I tend to be a perfectionist when it comes to creating beautiful things, I am very messy in the process. The hope that someone who buys or receives my handmade items will be elated and feel like they have gotten something special. 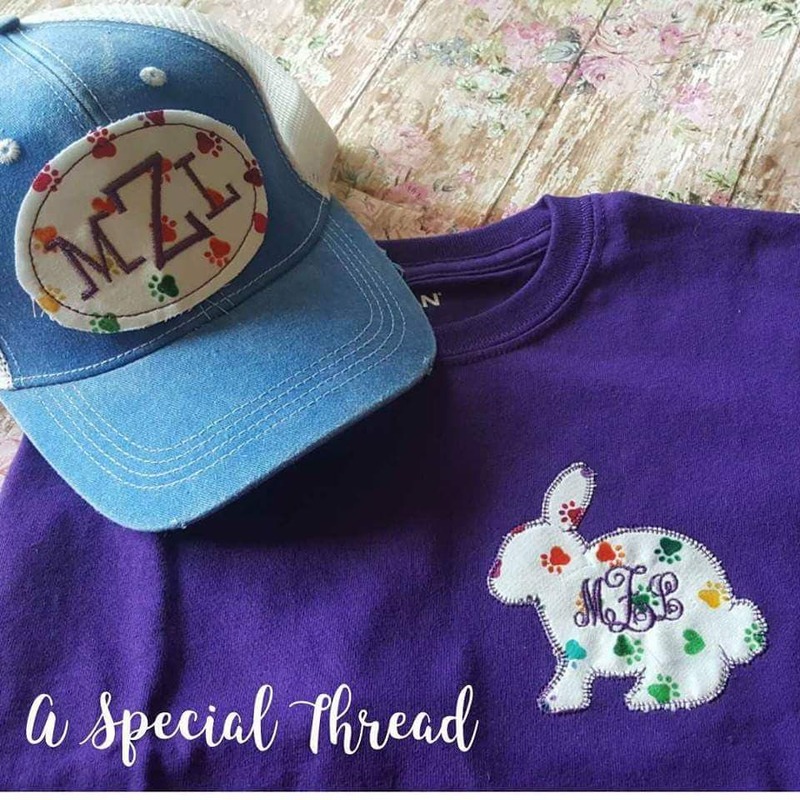 Margaret is giving away an embroidered patch hat in the Hello, Summer! GIVEAWAY. You can check out her other items on her Facebook Page: A Special Thread & in her Etsy Shop. Thanks for joining us for this edition of MEET YOUR LOCAL LADY ENTREPRENEURS. As always, if you haven't entered the GIVEAWAY yet, you can do that HERE. See you next time!